SAUGERTIES, NY (September 10, 2015): Hayley Waters, of Ocala, Florida, with Qurint, owned by Chuck and Dana Waters, wowed the show jumping world earlier this year winning the $34,000 FEI Jumper Classic at HITS Ocala V, and the unstoppable duo was back at it in Saugerties for the HITS Championship. 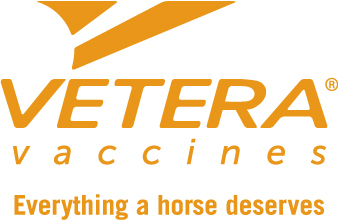 They did it again, taking home another big check, this time in the Vetera® XP Vaccines $250,000 Junior/Amateur-Owner Jumper Prix. On day one, forty-three riders took a turn over the first round course designed by Steve Stephens of Palmetto, Florida. The track challenged the junior and amateur riders, testing their skills with a potentially big payoff insight. “I was more worried about the first day. Last year I had one down on the first day, and it’s kind of over if you have one down the first day,” said Waters. Day two began with the first few competitors struggling to go clear, but the day took a turn for the better when Emanuel Andrade and his own Clouwni, carrying only one fault from the previous day, sailed to a clean round. They stayed on top until Kelli Cruciotti, eighteenth in the order, rode Chamonix H, owned by Serenity Equestrian Ventures. Her clear round from day one put her in great shape going into the second round, and with just 1 time fault over the course, but with the faster time day one, she took the lead from Andrade. Next up, Cormac Hanley and Stephex Stables and Missy Clark’s Twan took center stage. The first competitors to go clear in both rounds, they found themselves at the top of the leaderboard. Just two riders later, Waters and her trusty mount followed in Hanley’s footsteps and navigated through the course cleanly, ensuring a jump-off. Catherine Tyree and Enjoy Louis, owned by Joseph and May Tyree, were twenty-third to reenter the ring. Ready to test Waters for the win, they had a great trip and a clear round, meaning three would return for the eight-effort jump-off. First in the jump-off order was Hanley, but a refusal and a rail meant eight faults, plus one time fault, for a total of nine faults in a time of 47.745. Next, Waters sailed through the course clearing everything in her sight and clocking in with a time of 44.217 for the lead. Tyree was the final trip of the day and she delivered a clean round in a fast 44.350, just a blink of an eye behind Waters for second place. 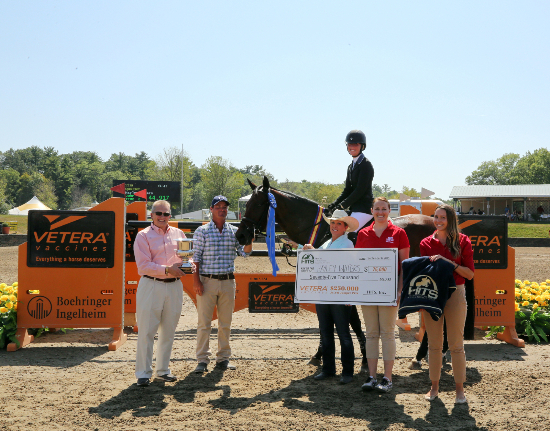 Hayley Waters and Qurint were presented with a trophy, HITS cooler, and blue ribbon after winning the Vetera XP Vaccines $250, 000 Jr./A-O Jumper Prix win at HITS Saugerties. 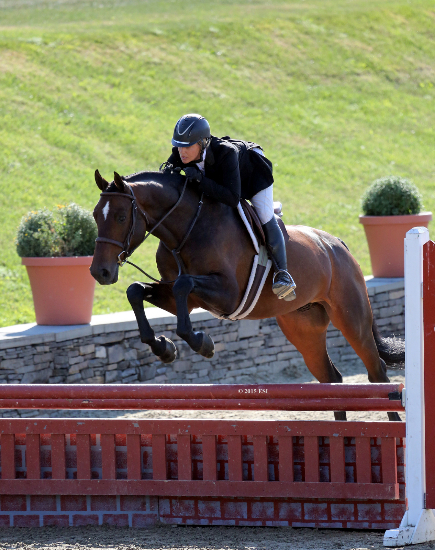 Hayley Waters and Qurint on their way to a Vetera XP Vaccines $250, 000 Jr./A-O Jumper Prix win at HITS Saugerties. Per-green horses had their time to shine during the 2015 HITS Championship in the debut of the Stal Hendrix Pre-Green Futurity. The class, which offered young hunters the spotlight during the richest weekend in show jumping, guaranteed a $25,000 purse plus all add-backs from nominated horses, for a total of $50,200. Having shown at HITS Ocala, HITS Culpeper and HITS Saugerties throughout the year, it was only fitting that Tracy Fenney, of Flower Mound, Texas, and MTM Fashion, owned by MTM Farm, left the ring with the winning check in tow. 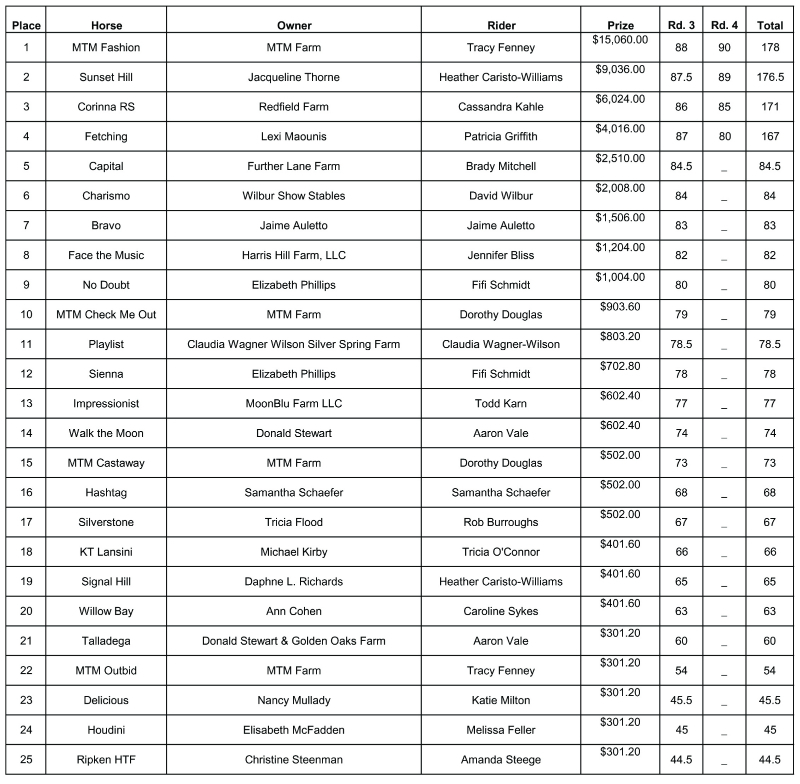 The three-day, four-round competition tested the young horses over fences and with handy-type elements. The top 25 riders moved on to round three, and it was no surprise Fenney was a standout. Taking home the highest round three score of 88, Fenney guaranteed herself a spot in the final round alongside the other top three riders. First to reenter the ring in the final round was Cassandra Kahle and Corinna RS, owned by Redfield Farm. Keeping cool under pressure they cruised to a score of 85, which added to their round three score of 86 resulted in a total of 171. Patricia Griffith, who scored an 87 in round three, was next in the order and piloted Lexi Maounis’ Fetching to a score of 80, for a total of 167 to finish just behind Kahle. 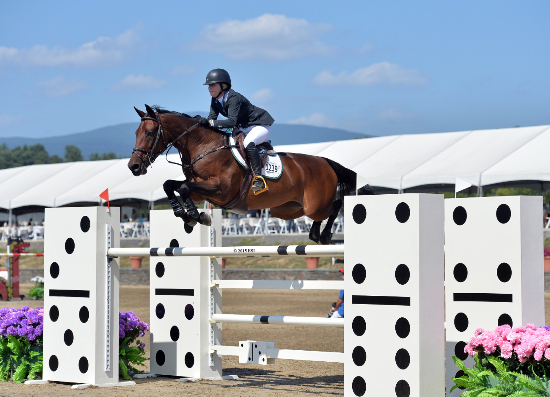 Saugerties’ sweetheart Heather Caristo-Williams was third to test the field of play and aiming for a win, she rode Sunset Hill, owned by Jacqueline Thorne, to an impressive score of 89, which added to her previous round score of 87.5, gave her a total of 176.5 for the lead. Fenney was the final ride of the afternoon and she was in it to win it. Navigating her young mount, who has only been showing since May, she rode to a round high score of 90, for a total of 178 and the blue ribbon. Tracy Fenney and MTM Fashion win the inaugural Stal Hendrix Pre-Green Futurity at HITS Saugerties.